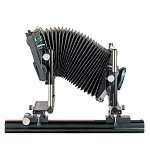 The Technikardan perfectly combines the compactness of the classic Linhof Technika dropbed design and the optical bench versatility of the Kardan series. 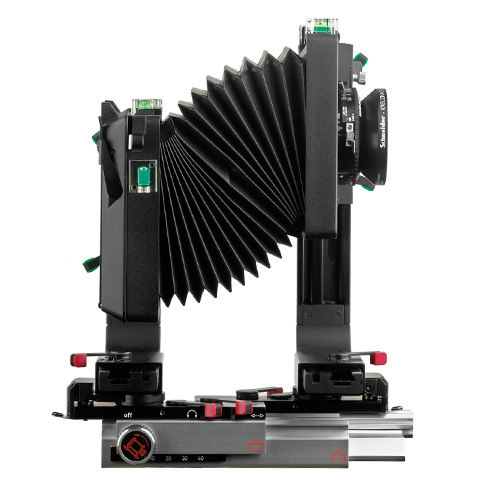 It is a compact and mobile camera system designed for the demanding Pro who needs to travel light but also wants to exploit all the possibilities of a fully adjustable viewcamera system. The disengage- able click-stops assure positive zero settings for faster operation. 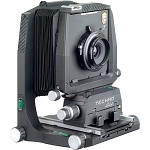 The Linhof Technikardan 23S is aimed at the discriminating hobby and professional photographer using rollfilm formats only. 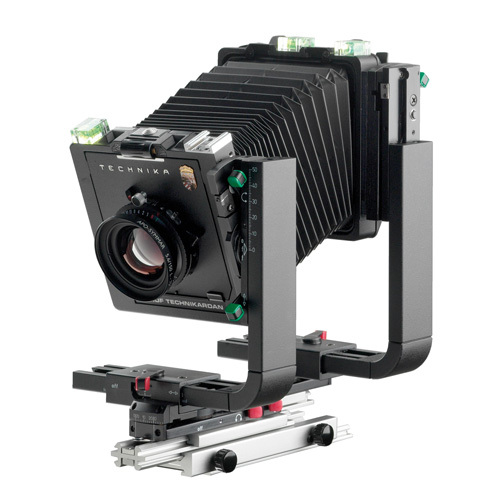 It is a fully adjustable midsize view camera with a Linhof Quicklock 23 type groundglass back. The rear standard allows the use of any of the Linhof type 23 viewing accessories. 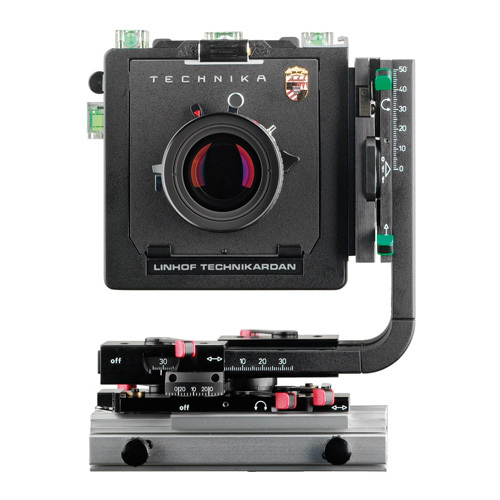 The front standard accepts the popular Technika 45 type lensboards. 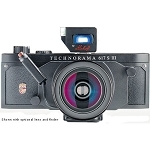 Its wide-angle lens capabilities allow the use of lenses 47mm and longer without recessed lensboards. 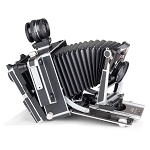 The goal of its designers was to have studio camera features in a field camera size with interchangeable bellows, center swings and tilts with zero click stops, triple extension monorail, and precision-machined dovetail fittings for all movements which are positively secured with color-coded locks for smooth, rapid operation. 13.8 x 12.3 x 7.7"